Product prices and availability are accurate as of 2019-04-18 12:28:41 BST and are subject to change. Any price and availability information displayed on http://www.amazon.co.uk/ at the time of purchase will apply to the purchase of this product. 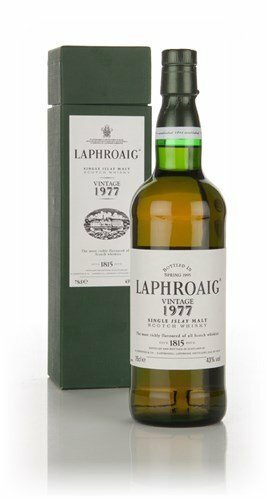 "75cl / 43.0% - This right here is a very rare bottle of 1977 vintage Laphroaig, which was bottled in the spring of 1995. Just saying those words will make the ears of every Laphroaig enthusiast in a 25-mile-radius perk up... This bottle was part of a private collection - if you'd like more detailed photos just get in touch."